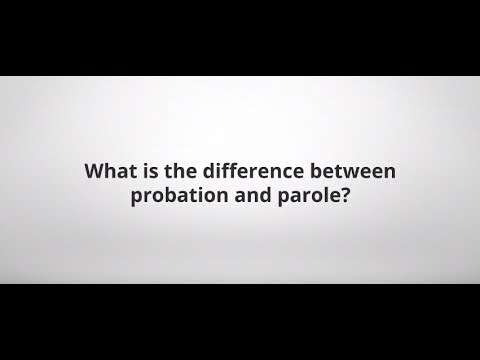 Rapid City Law Firm, The Law Office of Jamy Patterson, LLC | What Is The Difference Between Probation and Parole? Simply put, a judge can order probation in lieu of jail time or to follow a jail sentence at the time of sentencing. Parole on the other hand isn’t part of a judge's sentencing order. Parole is an early release of an inmate from prison usually after assessment from a parole board. Jamy Patterson is a criminal defense attorney in Rapid City, SD who can answer any specific questions related to probation or parole. What Should I Do If I Have Been Charged With A Crime? After you have been arrested and charged with a crime, it is typically best to speak with an attorney before making statements to police. Rapid City criminal defense lawyer Jamy Patterson can help plan a strategy for dealing with the charges and guide you through the process. Being accused of any crime can have serious repercussions but typically a misdemeanor is a crime that is less serious than a felony yet more serious than a civil infraction. If you are facing a misdemeanor charge, Rapid City criminal defense lawyer Jamy Patterson can help to explain how the law applies and make sure you are properly represented. Do I Need A Criminal Defense Attorney If I'm Not Guilty? With a criminal justice system that is adversarial by nature, unrepresented defendants are at a significant disadvantage against a professional prosecutor, even when they are completely innocent. Not planning to hire a lawyer yet? You can consult one on a limited basis and still enjoy full attorney-client privilege. If you’ve been falsely accused of a crime, contact Jamy Patterson, an experienced Rapid City criminal defense lawyer, to discuss your options. The most serious crimes under federal and state law are called felonies. This is compared to misdemeanors and civil litigation cases which are typically less serious. However each category can have various classes and levels based on the seriousness of the crime. 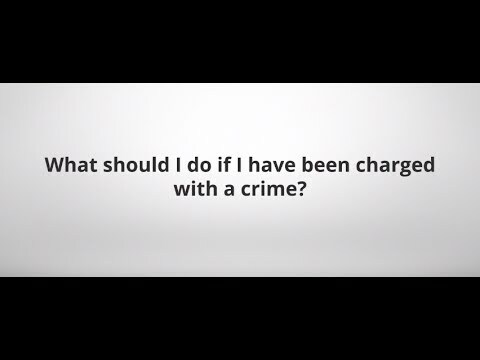 Watch this brief video to learn more about felony charges. Can Arrest Or Conviction Records Be Expunged? When you have been arrested or convicted of a crime, it can show up in the future when you apply for a job or attempt to continue your education. In some states an expungement can wipe out a criminal record from public files. This can depend on the type of crime or infraction. This video describes the opportunity of having records expunged in a bit more detail. Call attorney Jamy Patterson for more information. Am I Allowed To Move If I Am On Probation Or Parole? If you are on parole or probation, you usually will need to ask the parole officer or court for permission. They will consider the reason for the move and whether the location where you want to move will allow them to maintain supervision. Here is a short video with some more details on the process. Be sure to contact attorney Jamy Patterson for all the facts. Should You Talk To The Police After An Arrest? When you have been arrested, police are required to issue Miranda warnings which explain that you have a right to remain silent and to contact an attorney. While you certainly want to be polite in order to avoid escalating a tense situation, you will gain a significant advantage by consulting with an experienced criminal defense attorney before speaking with police. Watch this video for more tips and for legal help, contact Rapid City lawyer Jamy Patterson. Jamy Patterson is an exceptional attorney. Very knowledgeable and exhibits a strong passion for the law. The Law Office of Jamy Patterson, LLC is located in Rapid City, SD and serves clients in and around Pennington County, Meade County, Custer County, Fall River County, and other communities in Western South Dakota.